The 9th SARRAH National Conference was hosted by the Cable Beach Club Resort and Spa in Broome Western Australia and ran from 20-23 October 2010. Broome is world-famous for its magnificent sunsets. The sight of the crimson sky as the sun sinks below the horizon over the Indian Ocean is a unique spectacle. The moon controls Broome’s famous tides that can reach over 9 metres, revealing the ghostly Stairway to the Moon and occasionally exposing the remains of flying boats sunk in World War II. You can still soak up the history from the dangerous days of luggers and divers, but today the focus is on the Broome South Sea Pearl and the arts. You can tour a pearl farm, browse the many world-class pearl jewellery studios and art galleries in Chinatown, or see a movie at the world’s oldest outdoor picture gardens. The Kimberley region covers an area of nearly 423,000 kilometres and is one of the most vast and remote wildernesses on the planet. This immense and ancient land offers a diversity of attractions such as rugged ranges, gently cascading waterfalls, spectacular desert plains, unexpected rainforests, mighty rivers and dazzling white beaches that stretch much further than the eye can see. Huge turtles and prehistoric crocodiles share this land with Australia’s unique marsupials, prolific birdlife, wildflowers, palms and majestic boab trees.Unique Aboriginal rock art can be found in remote locations in the Kimberley region, so ancient and so unusual that its origins are still disputed. SARRAH chose Broome as the location for their 2010 National Conference. As the chair of the organising committee and a resident of this amazing region for the past 8 years I encouraged rural and remote Allied Health Professionals to come and relax into ‘Broome Time’ while gathering a few pearls of wisdom from their peers. Have input and influence from the ‘grassroots' into national and state health policy and service delivery. 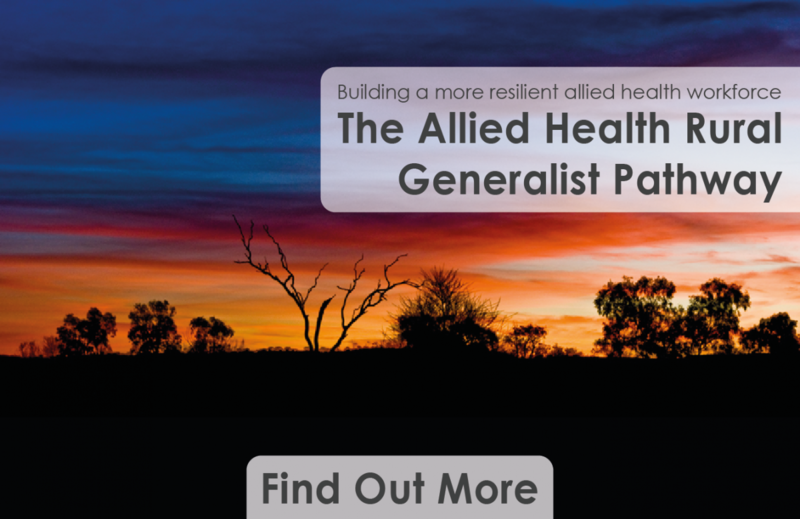 Promote continuing education and professional development activities essential to support allied health professional practice in rural and remoteAustralia. Promote rural and remote allied health research by professionals who practice in these areas and the presentation of research findings.